When you’re used to relating to someone as a friend, it can be hard to imagine being romantic or passionate with them. But a good friendship can be the best starting point for a healthy, loving relationship. Any happily married couple will tell you that, for a relationship to thrive and last, you need to be good friends, as well as romantic and sexual partners. If you’ve been pals for a while, you already know something of each other’s character and values, and care about the other’s wellbeing. That could be the foundation for a wonderful marriage. Of course, there’s always the risk that a relationship won’t work out and, sadly, that can leave you with less than you had before. Once the nature of a relationship changes, it can be very difficult to go back to being friends (although some people manage it successfully). So yes, if you express your romantic feelings, you run the risk of losing a valued friendship. That doesn’t mean you shouldn’t go for it, but it’s wise to be aware of the possible outcomes before making any rash moves, particularly if you’re not sure whether the other person feels the same. Perhaps a friend is pursuing something more with you, and you feel you owe it to them to give it a go, even though you don’t feel the same. Or perhaps you want a relationship so badly that you think you can change your feelings (or theirs) from friendship to desire. Sadly, this rarely works out well. A healthy, long-term relationship needs attraction and sexual chemistry on both sides. It’s not fair on either of you to move forward if the feelings aren’t there. Maybe you’ve had feelings for this person for a long time. Perhaps you’ve never thought about it, and they’ve caught you by surprise by declaring their desires. Either way, if you decide to explore a relationship, it may feel strange, awkward and embarrassing to be sharing kisses and cuddles with someone you’ve previously viewed as a friend. That’s okay! Take it slowly and allow it to unfold naturally… if you’re right for each other, it’ll soon become your new ‘normal’. If you share a friendship group or attend the same church, you can be sure that at the first whiff of romance, everyone’s going to take an interest in your new relationship. Knowing your every move is being watched and speculated about can put a lot of pressure on a blossoming romance. Some people in your circle may also feel uncomfortable, jealous or excluded by your changing relationship, and if it doesn’t work out, some may even take ‘sides’. 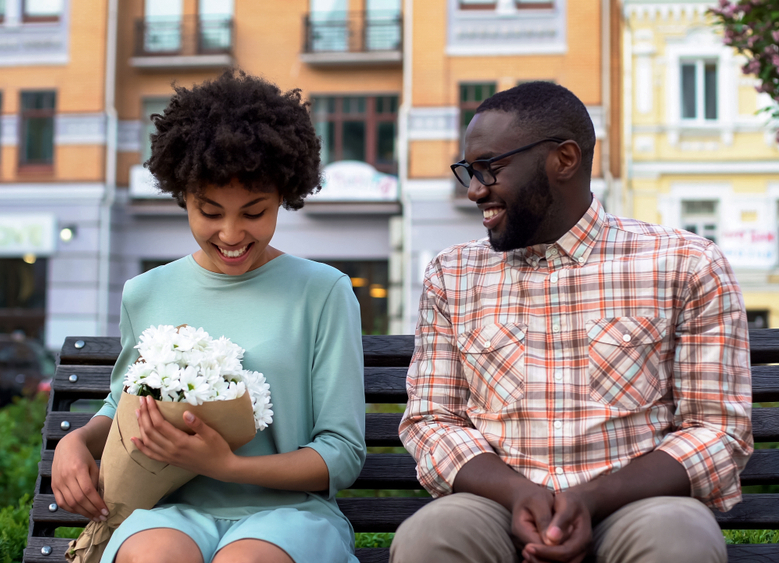 So you may want to consider keeping your romance on the down-low while you work out your feelings and decide whether you have long-term potential. While you may have had feelings for someone for a long time, you might have to face the painful possibility that they don’t see you as more than a friend. Or you may start a relationship, only to discover that, while you may be great as pals, you’re unsuited as partners. Failure and rejection are an inevitable part of the dating process – we all have to deal with it, sooner or later. If things don’t work out, treat your friend with kindness, respect and dignity, and move on. The right person for you is out there somewhere.